Well into fall, floral dresses are still blooming everywhere, and I'm going to keep wearing mine with wintry midi/knee-high boots, such as these, these and these. Recently, I snapped up this Asos floral dress, this Mango (Marni-ish) midi and this byTimo lace-trimmed gem. I'd also love to add into my rotation these lovelies from Le Superbe, BB Dakota (with a oversized black blazer over it), and Self Portrait. P.S. 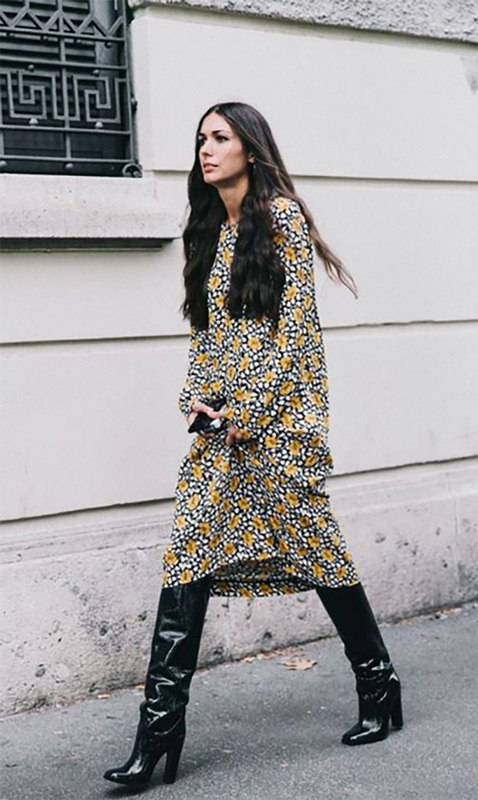 The dress/boot combo might just be the easiest get-up-and-go-chic uniform of all time!